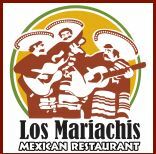 Location: Los Mariachis Mexican Restaurant – Springfield, Ohio. LNESC and LULAC established the LULAC National Scholarship Fund (LNSF) to help youth in undeserved communities make the dream of college enrollment a reality. LNSF is a unique partnership between grassroots advocates and corporations that funds educational opportunities for deserving youth across the U.S. Every dollar raised by local LULAC Councils is matched by corporate partners secured by LNESC, increasing the amount given in both the council and corporate names.